Last night The Whitney unveiled and lit up their life-size 3D installation of Edward Hopper’s “Nighthawks “painting. As we noted yesterday, the famous work features a 1940s diner which never actually existed, but the museum claims it was inspired by the Flatiron building (the two have similar shapes), where their installation is housed. via Photos: Hopper’s “Nighthawks” Comes To Life In Flatiron Building: Gothamist. Problem is, these same forage fish are being overfished to feed land-based creatures, bringing Earthjustice into the fight to keep the ocean well-stocked. To understand the role forage fish play, a little ocean ecology is helpful. via Energy Bars of the Sea | Earthjustice. Twenty-four members of the Egyptian police force have been killed since late last night across the country, a security official said on Friday, bringing the number of police killed in political violence to 67 since Wednesday. via Egyptian violence kills 24 policemen in last 24 hours | News , Middle East | THE DAILY STAR. via Rebel campaign calls Egyptians to boycott Brotherhood businesses – Politics – Egypt – Ahram Online. Non-food crops lock up enough calories to feed 4 billion. “Globally, 36 per cent of all calories are fed to animals. We found that decreasing grain-fed meat consumption by 50 per cent would be enough additional calories for two more billion people,” says Cassidy. Reducing meat consumption, or shifting it away from beef to poultry and pork, has the potential to feed more people per hectare of cropland because beef is not energy efficient, Cassidy adds. “When we feed 100 calories of average corn and soy to beef cattle we get only three per cent of these calories back, while the efficiency is better for pork and chickens,” she says. Aikens is seeing many more people coming to her door with those vouchers. In the second quarter of this year, she says, they saw a 250% increase compared to the same period last year. Her own experience is backed up by nationwide research. A report, co-written by Oxfam and Church Action on Poverty, that was released in May found that 500,000 people in Britain had resorted to food banks to feed themselves this year, three times more than in the previous 12 months. Campaigners are certain they know why it’s happening. The complex calculus of modern living and expenditure is no longer adding up. Between 2000 and 2011, food prices rose by 43%, while general prices rose by 28% and incomes stagnated or even fell. If you’re on a low income, food price rises have simply been amplified. On top of that have come draconian changes to the benefits rules, combined with infuriating administrative incompetency. via Food bank Britain: life below the line | Society | The Observer. via Egyptian Elite Succumb to Hate Virus – SPIEGEL ONLINE. 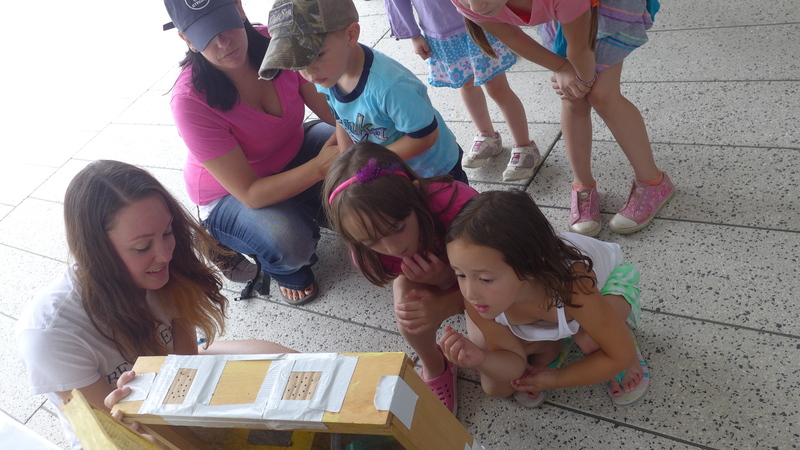 An observation frame from Best Bees visits the Farmers’ Market at Harvard, 8/16. This was the first season of skillshares at the Farmers’ Market at Harvard. Below is a partial list of the skillshares offered at the market.